100% original and raw reel to reel studio recording of songs to be used on the album, Sgt. Pepper’s Lonely Hearts Club Band. 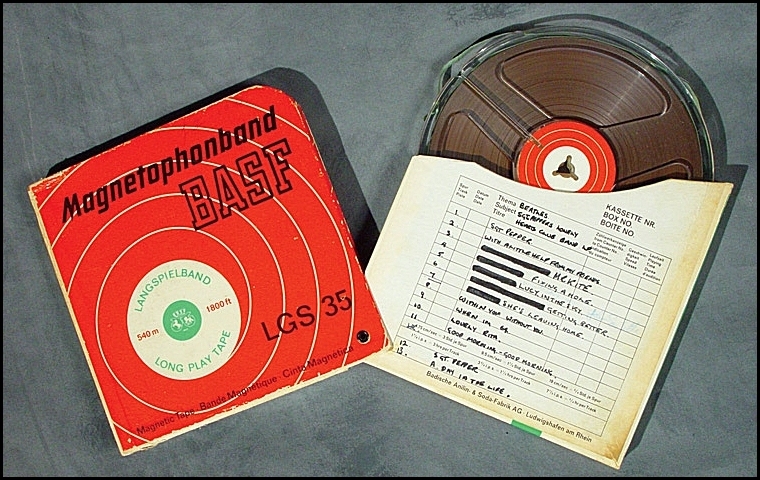 The Beatles gave this reference recording to Brian Epstein and their attorney, Nat Weiss for review. It contains alternate song titles as well as a different song listing than what was used on the final Sgt. Pepper album. 1800 feet of tape on a 7” spool. A very special piece of Beatles history. LOA from Nat Weiss. 100% original and raw reel to reel studio recording of songs to be used on the album, Sgt. Pepper's Lonely Hearts Club Band. The Beatles gave this reference recording to Brian Epstein and their attorney, Nat Weiss for review. It contains alternate song titles as well as a different song listing than the publicly released Sgt. Pepper album. 1800 feet of tape on a 7" spool. 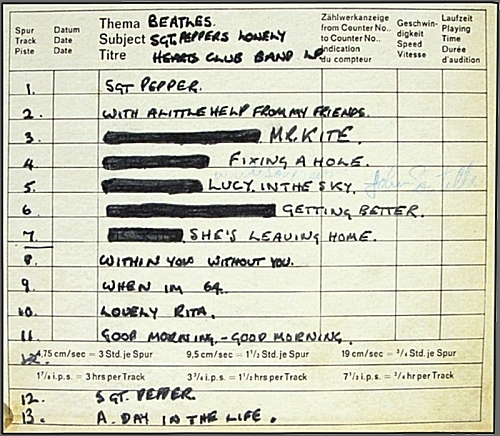 A very special piece of Beatles history. Originally obtained directly from Nat Weiss.